As the owner of a successful veterinary practice, the thought of IRS problems can be overwhelming. Fortunately, you do not have to go through this alone. The CPAs at Reliance Consulting, LLC offer compassionate, efficient IRS problem resolution. With specialized services for veterinarians, we are ready to help you with a wide variety of problems. Whether you are facing an audit, you made a mistake in your tax return, or you are dealing with some other concern, we can help you overcome these difficulties with minimal impact to your business. We will also provide support and guidance, so you can focus on the other aspects of your veterinary practice. IRS problems can be stressful, but they do not have to devastate your business. Contact our office today for the accurate, personalized services you require. Failure to file tax returns: If you did not file your tax return due to clerical error or an inability to pay, the IRS will eventually demand your payment. It is possible to negotiate with the IRS. However, it will not typically engage in negotiations if your taxes are not up-to-date. We can help you file past tax returns, making it easier to come to an agreement with the IRS. Payroll tax issues: A failure to file payroll taxes is one of the most serious IRS problems. Considered a federal crime, it could cause you to lose your business and even land in prison. If you are facing payroll tax issues, it is vital that you deal with them as soon as possible. In addition, before entering into negotiations, you should find an experienced accountant who can help you with this matter. Tax liens: If you have failed to pay your taxes, the IRS may issue a lien, or legal claim, against your property. A lien will dramatically affect your credit, and you may not even be able to open a checking account. Fortunately, in many cases, we can help you appeal or negotiate a tax lien. We can also help you take advantage of the “Fresh Start” initiative, which could get the lien removed from your records after payment. Lost records: Tax records are on file with the federal government. We can easily help you obtain missing paperwork and avoid further difficulties. Bank levy: With a bank levy, the IRS lays claim to all assets in your account. As a result, the IRS could completely drain your finances. In many cases, we can help you obtain a release of the levy. If this is not possible, we will explain your other options and help you find the most suitable one for your practice. An offer in compromise is one of the most effective ways to deal with IRS difficulties. You may be able to negotiate with the IRS to pay a smaller amount of taxes than you originally owed. First, you will have to prove your eligibility for such an agreement. Then you must create a reasonable offer in writing. If your offer is rejected, you may issue an appeal within 30 days. Once you gain approval for your offer in compromise, you must pick a payment method and follow through on the agreement. Negotiating an offer in compromise can be a complex process. Our accountants can assist you with this matter and help you settle on an equitable agreement. 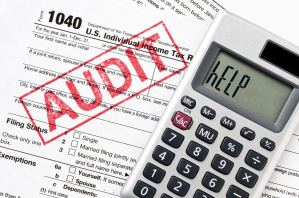 If you have made a miscalculation on your taxes, or if you have taken an unusual number of deductions, the IRS may have notified you of an audit. An IRS audit can be very frightening, but it does not have to be catastrophic for your veterinary practice. You will likely have to pay some interest or fees. However, with the assistance of an experienced CPA, you can make it through the audit with minimal impact. We will organize all records to look for discrepancies, explain any deductions, and make the audit more efficient and stress free. In addition, our tax preparation services can help you maintain clean, accurate records and avoid audits in the first place. At Reliance Consulting, we understand the distress that IRS problems can cause. We will guide you through these difficulties and help you lay a secure foundation for the future. When you are dealing with tax issues, it is important to act quickly. Contact Reliance Consulting today for assistance. We work with clients in St. Petersburg, Clearwater, Sarasota, Pasco, Lakeland, Manatee, and the greater Tampa Bay area.